Both of these towns stand alongside the River Severn but offer different appeal. and a gateway to the Wyre Forest itself and the English–Welsh borderlands known as The Marches. Retaining its unique charm with a wealth of listed buildings, at its heart is the much acclaimed Bewdley Museum where you can see local crafts people at work, adjacent to the wonderful Jubilee Gardens and Community Orchard. The museum also houses the award-winning Tourist Information Centre, where staff are on hand to help you make the most of your visit including discounted tickets to major events attractions and memorabilia. Bewdley has an attractive shopping and riverside area offering a range of pubs, restaurants and cafes and even has its own micro-brewery. 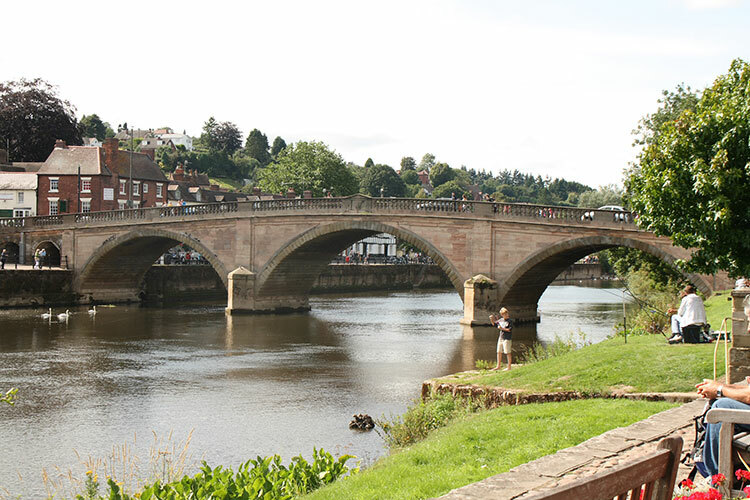 Bewdley Bridge, designed by Thomas Telford, is at the heart of the town. We then move onto Upton upon Severn. Upton upon Severn used to be a port, as well as being the only river crossing for many miles. For centuries before modern transport, it was alive with river craft carrying goods from and to the rich agricultural areas around it. Today, pleasure craft have taken over. There is a flourishing marina on the east bank, and Upton’s historic prosperity can be seen in it’s variety of delightful old buildings, including pleasant places to eat and drink. Look out for the “Pepperpot”, a most distinctive medieval church tower topped by an 18th Century cupola in place of a spire. Two great places to visit at the heart of the River Severn.